The Flip Flop Foot Pain Fiasco! HAVE YOUR FLIP FLOPS CAUSED YOUR FOOT PAIN? Summer is finally here and many of us are becoming more active outside in the sunshine and warmer weather (hopefully!!). Our feet, which have become accustomed to our more sturdy and supportive rain boots and winter shoes, have been traded in for our summer sandals and flip flops. After beginning to wear those unsupportive pieces of foam which we term flip flops, some of us will subsequently wake up in the morning and stand up on our newly remodelled hard wood floors only to find a sharp pain has now developed on the bottom of our feet, even making it hard to walk initially. Chances are you may have developed Plantar Fasciitis. 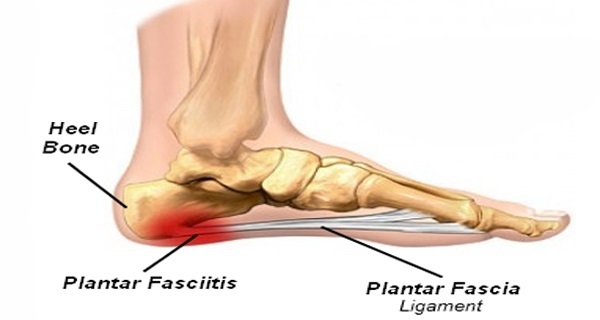 The most common cause of plantar fasciitis is very tight calf muscles which lead to prolonged and / or high velocity pronation of the foot. This in turn produces repetitive over-stretching of the plantar fascia leading to possible inflammation and thickening of the tendon. As the fascia thickens it loses flexibility and strength. Some practitioners think overpronation can always be determined visually by the dropping and rolling in of the arch. This is not always the case. Sometimes it can only be seen with foot scans, especially if the patient has a high arched foot. At our office we have a sophisiticated gait scan which takes readings at 60 frames per second. This is much more accurate than even the human eye which is approximately 7 frames per second. Other causes include high arch or low arch feet (pes cavus / planus) and other biomechanical abnormalities including over supination. Excessive walking in footwear which does not provide adequate arch support has been attributed to a recent increase in plantar fascitis such as those stylish flip flops. In fact, the American Podiatry Association has recommended that the use of flip flops should be avoided entirely. 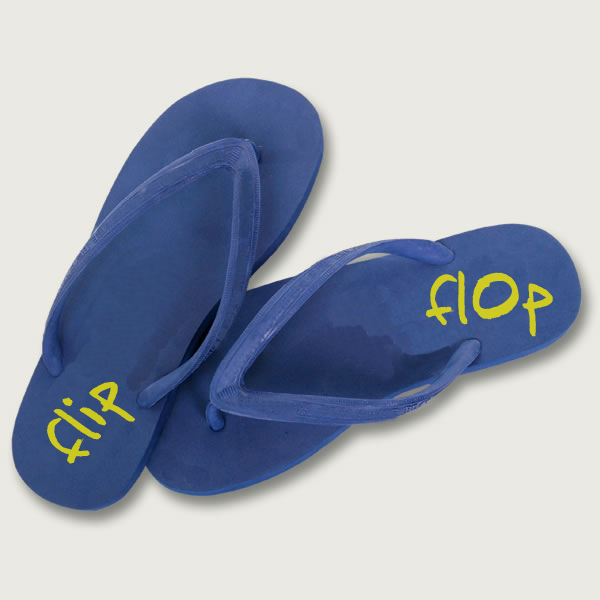 Luckily for those who are flip flop die-hards, various shoe and orthotic manufacturers have come up with safe and supportive flip flops that are also stylish. In addition, overweight individuals are more at risk of developing the condition due to the excess weight impacting on the foot. Rest until it is not painful. It can be very difficult to rest the foot as most people will often be on their feet during the day for work. By walking on the painful foot you are continually aggravating the injury and increasing inflammation. So avoid hiking, long walks or impact activities (thank goodness for our outdoor summer pools!) until the pain has reduced. When you do walk, wear supportive shoes such as running shoes. Apply ice or cold therapy to help reduce pain and inflammation. Cold therapy can be applied regularly until symptoms have resolved. Stretching the plantar fascia is an important part of treatment and prevention (ask us for specific stretches). A plantar fasciitis night splint is an excellent product which is worn overnight and gently stretches the calf muscles and plantar fascia preventing it from tightening up overnight. Wear your custom orthotics as much as possible. Prescribe custom orthotics or insoles. An insole can restore normal foot biomechanics if overpronation is a problem. Apply sports massage techniques to reduce the tension in the plantar fascia and also stretch the calf muscles. 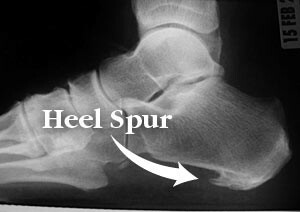 X ray to see if there is any bone growth (heel spur). If present, will require special modifications to the custom foot orthotic. Recommend healthy footwear. Even if it is summer, there are healthier and more supportive choices of sandals and footwear. However, those cheap flat flip flops should really be avoided. At our office, our orthotic manufacturer has several footwear options available with the orthotic built into a stylish but more supportive flip flop or sandal. Read more about our Do’s and Don’ts of Wearing Flip Flops in next week’s article…. If you believe that you, or someone you know, could be suffering from pain or inflammation, call the office today to schedule an appointment to see what treatment options are available to you. An electronic gait analysis can be performed which takes about 30 minutes to see if you have any biomechanical issues that may contribute to your foot discomfort. Posted in Articles and tagged anti inflammatory, back pain, custom foot orthotics, foot pain, inflammation, joint pain, orthotics vancouver, osteoarthritis, wellness chiropractic care, yaletown clinic by The Back Doc.